Celebrate your Turkey Bowl on Thanksgiving Day by awarding your winning team the Turkey Bowl Award Plaque! 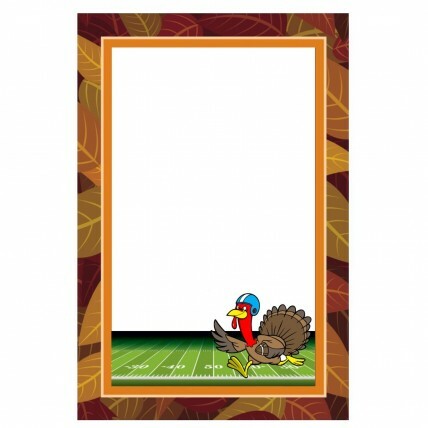 In your choice of two sizes, it features a turkey playing football surrounded by fall leaves on a white background. Add your personal message for FREE! The perfect prize for your Thanksgiving Day friendly football game!